College football is back, even though the first games of the 2017 season are more than three months away. Las Vegas sportsbooks are already accepting wagers on these games, giving summertime tourists something to bet on after the NBA Finals and NHL Stanley Cup wrap up their action in June. 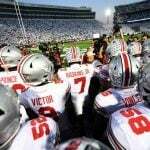 CG Technology, the company that manages sportsbooks at the Venetian, Palazzo, Cosmopolitan, Palms, Tropicana, and Hard Rock in Las Vegas, released odds this week on regular season win totals for almost 50 college football teams. 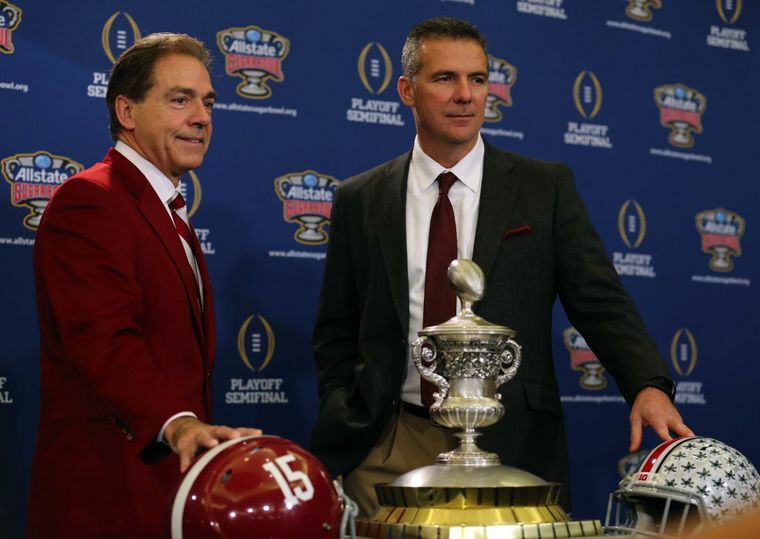 And while it might be a new year, it’s the same old story for Alabama and Ohio State. Penn State, Oklahoma, Florida State, Wisconsin, USC, and Washington all have over/under lines set at 9.5. Clemson, last year’s College Football Playoff National Champion, is expected to win nine games, as are Oklahoma State, Virginia Tech, Louisville, LSU, and Michigan. As for the outright winner, Alabama is at +350 to win the NCAA title. 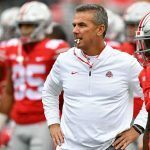 Ohio State has the second-best odds at +500, followed by USC (+700), Florida State (+750), and Michigan and Penn State (+1200). The college football over/under bets make a nice appetizer for starving football fans. But with so many unknowns prior to pre-season, CG is restricting bets to $500 or less on each team for now. Sportsbooks are in the business of mitigating risk, and with more than 90 days remaining before the first snap, plenty of variables remain in projecting win totals. One interesting note on CG’s odds is that the Southeastern Conference (SEC), long thought to be the best conference in college football, only has two teams with projected win totals greater than eight. In addition to Alabama, CG puts LSU at nine. The SEC’s claim to supremacy is highly disputed by fans in other conferences, primarily the Big Ten and ACC. 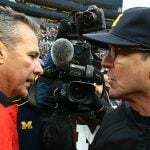 The college football odds have four Big Ten teams, and five ACC programs, winning 8.5 or more. Like the Crimson Tide, the New England Patriots routinely come into the regular NFL season as a strong favorite to win everything. The defending Super Bowl champions are currently favored in each of their 16 games, according to CG’s preliminary lines. On the opposite side of the spectrum, the Cleveland Browns, who went 1-15 last year, aren’t favored in a single game. The Westgate SuperBook has the Patriots at 3/1 to win the Super Bowl for a third time in four years. The Browns are at 300/1.